African Mango For Weight Loss: What's The Real Evidence? African mango extract has blown up in the last year and has become an incredibly popular weight loss supplement. It was mentioned on the Dr. Oz show, it appears in literally hundreds of Amazon listings, and it's spread to dozens of countries around the globe. In case you haven't heard of it, African mango extract is made from a fruit from Cameroon called Irvingia gabonensis, which has been used in traditional medicine in Africa for hundreds if not thousands of years. But traditional medicine is a far cry from medical fact. As the public gets greater and greater access to research information and is subject to more and more bogus campaigns for fad weight loss products, it's more important than ever to get solid, timely, trustworthy evidence that a supplement does what the people selling it to you claim. Is that the case for African mango? 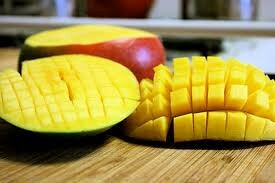 There have been two studies of African mango for weight loss in humans. The first involved 40 subjects and found statistically significant average weight loss of 5.3%. The second had 102 subjects and found statistically significant average weight loss of 13.1%. Sounds great, right? Real, scientific studies, done on actual live human beings that found a real positive result that reached (gasp!) statistical significance. This is far more evidence than many popular weight loss products have behind them. It's the stuff solid medical science is made from. But the picture isn't completely perfect. Yes, there are two studies showing an effect. But both studies are done in Cameroon, both studies use a relatively small number of patients and, crucially, both studies share two out of three of the same scientists. Testing supplements is hard. Really hard. There are a million ways to slip up, and part of the reason so much emphasis is placed on having lots of independent studies showing the same thing before reaching a conclusion is that, while scientists will always make mistakes, it's unlikely that different groups of scientists will make the same mistakes. But when you have the same scientists perform both sets of tests, you lose this reliability. But even if you believe the limited scientific evidence that exists, there are more problems to overcome. The African mango extract being tested in the studies in Cameroon is not necessarily the same as in the hundreds of different weight loss products available around the world. There are thousands of variables that go into making a nutritional supplement. If you want your African mango extract to be the same every time, you have to harvest the same varietals of Irvingia gabonensis at the same level of ripeness. You have to remove the fruit and harvest the stones in the same way. You have to grind the seeds to the same level of fineness and use the same solvent in your extraction. Needless to say, in the real world different types of African mango extract will vary in form and potency. And then there's the matter of dosage: some companies add some infinitesimal quantity of African mango just so they can put the name on their label. (This is a common African mango scam). Other companies add a gargantuan dose, hoping to draw attention to themselves and differentiate themselves from their competitors. But studies investigating taking 300mg of African mango extract every day can only tell you about the effects of taking 300mg of African mango extract every day. They can't tell you what might happen if you take 10mg, or 1000mg, or even 10000mg. Lastly, there's the matter of other ingredients. It's relatively rare for supplement companies to sell a product that's just African mango. Most of the time they add other ingredients to burn fat or suppress appetite. It's common to see products called "African mango" containing large amounts of things like caffeine and green tea extract. Again, the scientific evidence simply isn't there to predict whether this will make the weight loss more or less effective. Of course, none of this actually proves African mango doesn't work. In fact, based on my experience and my reading of the evidence, my opinion is it does. But everyone has the right to look at the real evidence objectively and decide for themselves, without being hoodwinked or misled by people with commercial motives. The evidence that is out there is encouraging and exciting, but ultimately, we won't know for certain until more medical studies are done with larger numbers of patients. Submitted by catherin (not verified) on Mon, 11/26/2012 - 03:21. I think Real African Mango Weight Loss helps in daily life by increasing the metabolism and boosting the energy level.